For the purposes of my review (parts 1 & 2 linked here) CZ-usa was kind enough to put together the very first 712 Practical (since production had not yet officially begun) and ship it out to me. I am exceptionally grateful for this generosity, but CZ didn’t stop there. They gave me the freedom to modify the 712 Practical as I see fit, because they realize that is exactly what their product is designed to do. A 3 gun shotgun, or any gun used in competition for that matter, should be expected to receive at least a few modifications before it is all said and done. CZ is well aware that their 3 gun shotgun doesn’t have all the bells and whistles of the high end models by other brands. They leave these modifications as opportunities for the end user to adjust as they see fit. I agree with CZ’s thinking here, because from what I have seen even the high-end 3 gun ready shotguns, do get some tweaking for the pros. I wouldn’t recommend doing all of the necessary modifications yourself, but I found a few inexpensive changes that were quick and worth it. 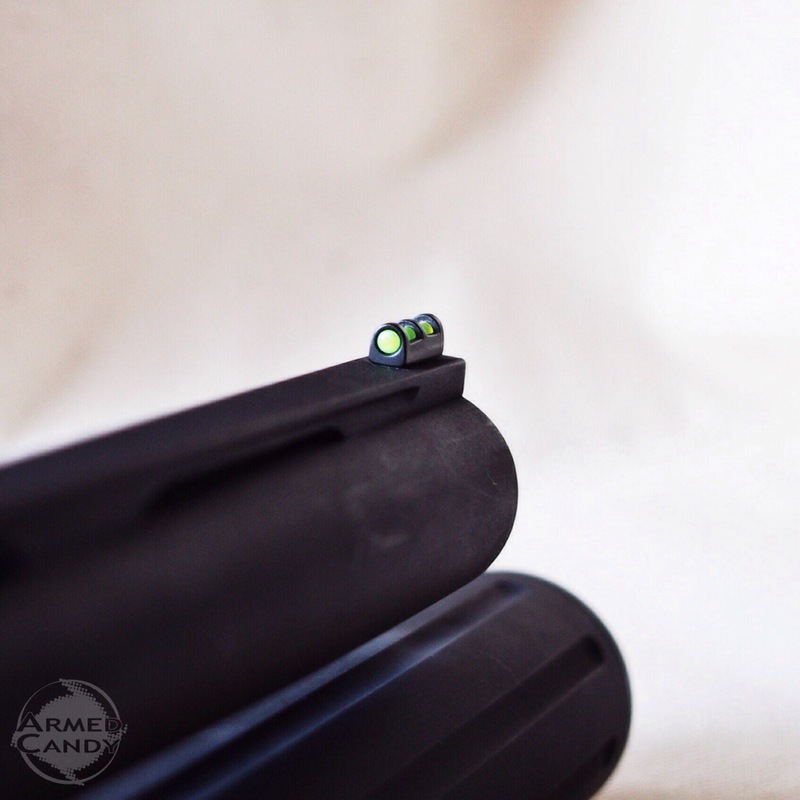 My first change to the CZ 712 Practical was replacing the brass bead for a fiber optic tube. 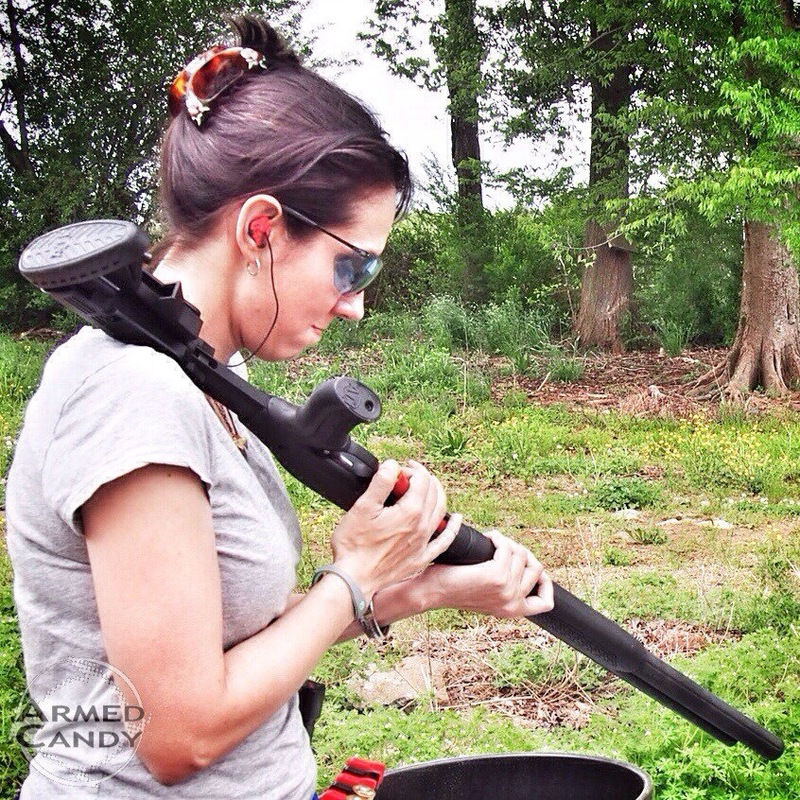 I chose TruGlo’s Long Bead Universal. It’s threaded just like the brass bead, so it’s an easy swap, and with a touch of Locktite, it should stay put, even when dumped in a barrel. I like the fiber optic, because it draws my eye down the rib and catches my attention, even on cloudy days. I did this swap as I was cleaning the gun for the first time, but during another cleaning, I decided to switch to a metal follower. As I said in my review, this change has been one of the best things I could have done to the 712. Almost as easy as the previous two modifications, is the softening of the edges of the bolt handle. In part I of my review I mentioned that I have found little need for a larger handle (even with my long fingers), but I did feel that the edges of the 712’s handle were a little rough and not optimal for a solid grip. I was given the idea of using heat shrink tubing, from the CZ blogger himself. Just find a diameter tube that fits around the bolt handle (with little extra space), and use a heat gun or blow dryer to warm it till it creates a snug fit. Mine has been through hundreds of rounds and hasn’t budged. 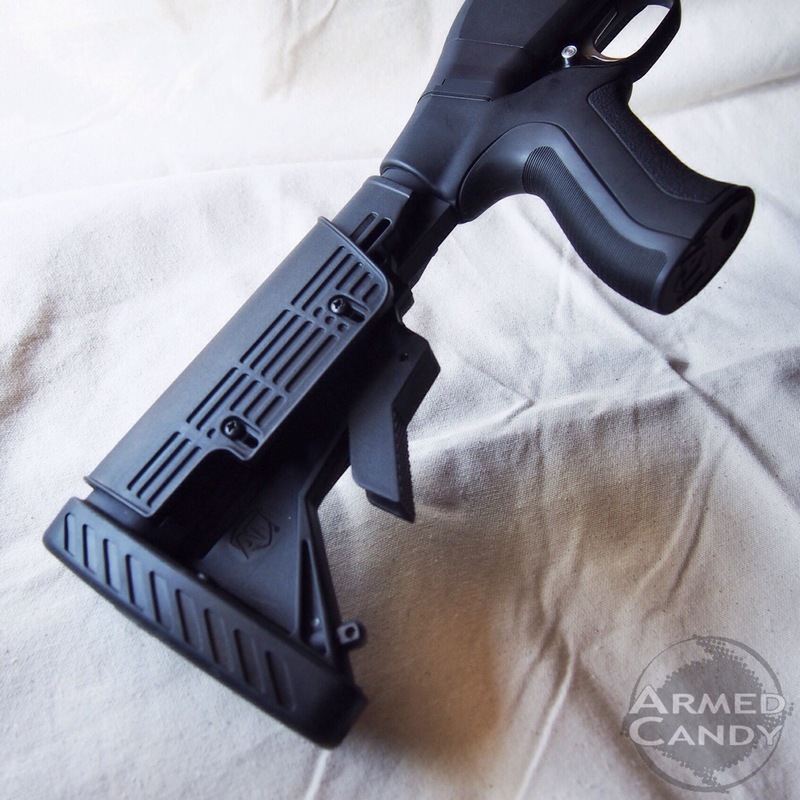 With or without the cheek riser attached to ATI’s stock, you may find the hard plastic less that comfortable. 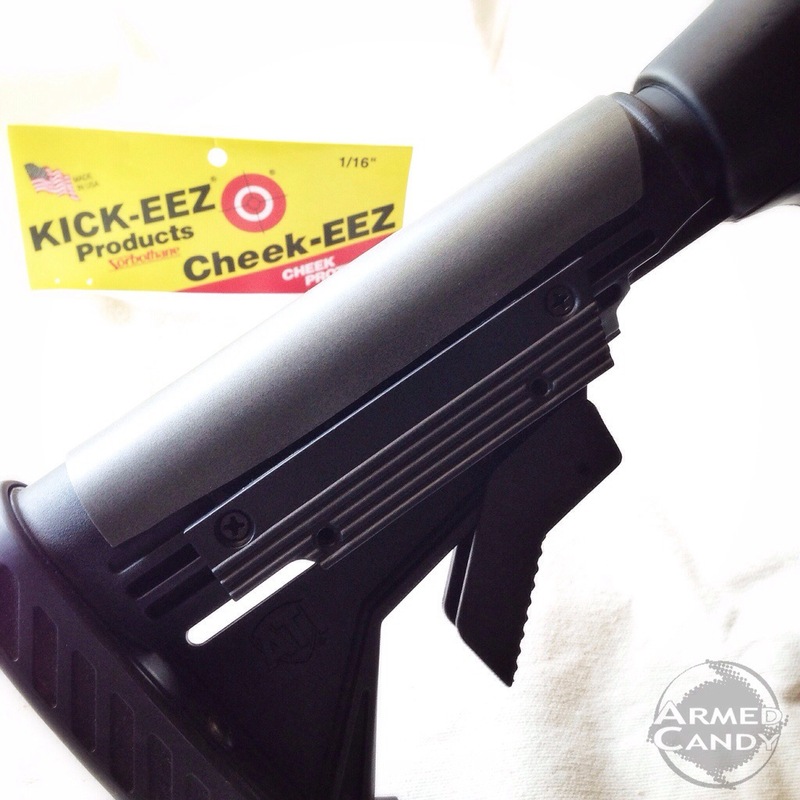 A pro recommended I try Cheek-EEZ sold by Brownells. I bought the thinnest option 1/16” and cut the sides off so that the pad was narrow enough to fit between the plastic pieces that hold the cheek riser. I have discovered that while the cheek riser is too high, the stock without it is too low. Call me Goldilocks, but one Cheek-EEZ, has made all the difference. Lastly I have two modifications I am planning to make, but haven’t as of the time of this post. First, as a novice 3 gunner, my speedloaders are a work in progress. Occasionally, I find myself pushing the fork to far or not enough, and my shells will get caught on the opening of the tube. I know I will get better at knowing the proper angle to aim my shells, but there is also so tuning that can be done to the fork so that it guides the shells into the tube perfectly every time. Second, the release button has been slowing me down simply because it is too small to punch with my fist. Brownells offers a product by Red Neck Tactical that I have been told, will work with the CZ. The device is a simple lever that fits under the forend and creates a wider flat surface for me to hit when I want to release the bolt. 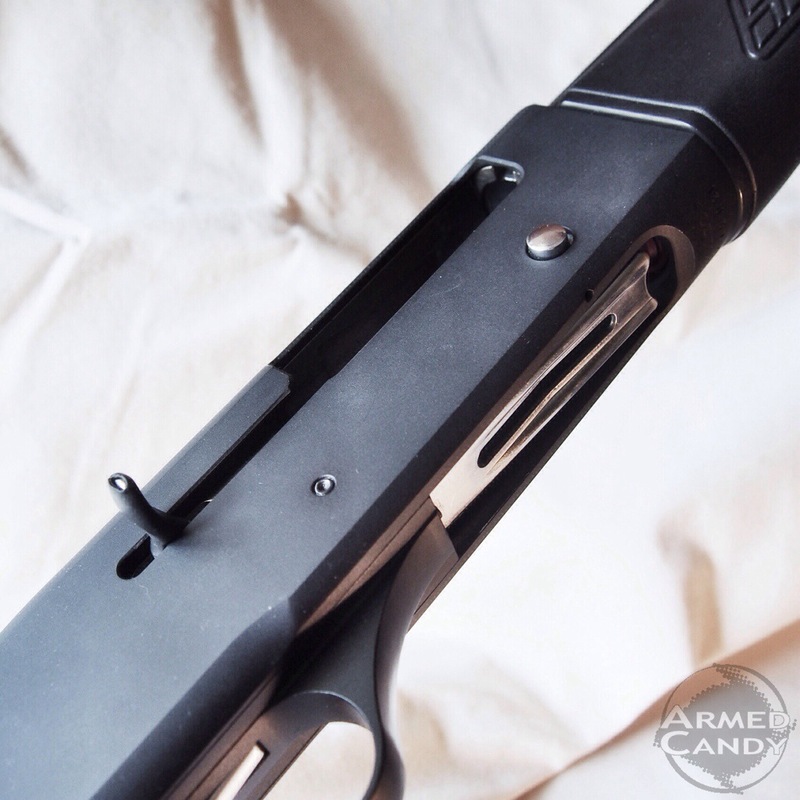 I am still contemplating ordering the Akita stock from ATI for a comparison review, but other wise, the 712 Practical has been a great starter shotgun for my 3 gun adventures. What the hell is wrong with Texas open carry? How many different brands or loads of ammunition have you tried? Any problems? I’ve tried a number of brands and many lines within those brands… Federal, Winchester, Remington, Estate all ran fine. Only issue I had was with Rio’s bargin basement line. My extractor isn’t sharp enough to pull their brass, which has a very sloped rim instead of a sharp edge to grab. You are doing/have done a great job with this series. Keep it up!! Is that lifter in the picture the lifter that came with the gun or did you modify it? And you just sold me on this gun. I sold my only shotgun a Mosssberg 930 before I moved across the country (to save space in the car) and at some point I’m going to start going three gun. I was a CZ fanboy anyway so this was on my list and that lifter just sold me. I would replace the stock with the Akita stock and all the mods you’ve done and call it a day. The ease of loading on this gun, really is it’s best feature!